(LONDON) The next generation of websites destined to succeed Google, Facebook and Twitter will be made in Britain. This is the aim of the UK.COM Awards, a new initiative to encourage and support British entrepreneurs and creative talents to launch new ventures on the internet. What are the UK.COM Awards? The UK.COM Awards are a new initiative from UK.COM, recognising original ideas and excellent design, content and functionality in British websites. Winners in four categories will be selected by a jury of experts, and both the website owner and the website designer will be recognised. The overall winner will be awarded a cash prize of £5,000. Nominations close on the 31st of December, with judging and prize giving to be held in the new year. 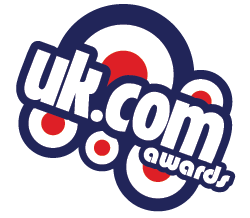 The UK.COM Awards are a philanthropic extension of UK.COM’s existing service – providing desirable domain names ending with ".uk.com" to British organisations ranging from Pineapple Dance Studios (pineapple.uk.com) to Avon (avon.uk.com) to thousands of creative projects and successful business start-ups. "The first step in making your idea for a website or business a reality is securing the domain name that you really want. In the UK that means a name ending .UK.COM, which combines a British identity with the dot-com ending that attracts 90% of all web traffic," said Ben Crawford, CEO of UK.COM parent company, CentralNic. The competition is open to all existing and planned websites using a .UK.COM domain. British website owners and designers can nominate their own websites, or sites they designed. Members of the public can nominate sites they appreciate. There is no fee for nominees, and nominators may submit more than one website. To start nominating, go to www.uk.com and fill out the simple form. It takes less than a minute. For those who have not yet realized their online vision, they can simply explain their idea in the space provided.